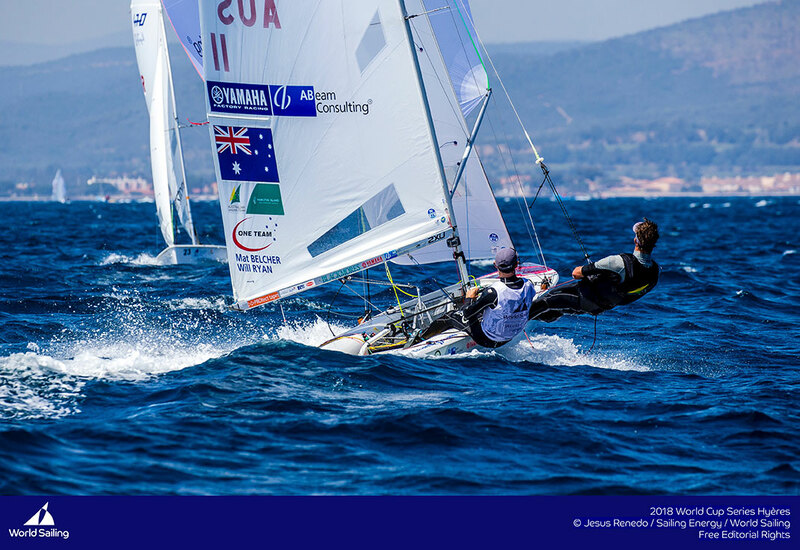 Thanks to the German 420 Class Association for this interview with Australia's Mat Belcher, who in his 470 career has collected Olympic Gold and Silver medals, 7 World Champion and 4 time European Champion titles. Belcher's first success was in the 420 Class, winning the 2000 420 World Championship with his brother Daniel Belcher. Uniqua Germany meets Mathew Belcher at Kiel Week the evening before the medal race. 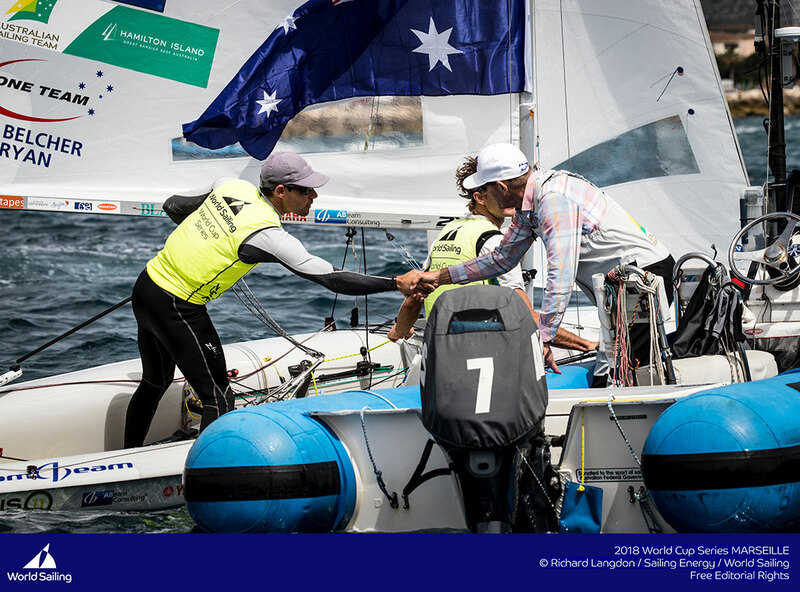 uniqua (un): Hi Matti, after you win the 420 Worlds 2000 with your brother in La Rochelle you had the honor to carry the australian Flag at closing ceremony of the Sydney Games. Was that the real reason to begin your olympic career? Mathew (mb): I look back at winning the 420 Worlds in 2000 as being pivotal to my Olympic career and where I have taken my sailing. It is uncanny, to think how great the timing was. Not only that I got out of 4 months of my final school year to attend the 420 worlds but it was just before the Sydney 2000 Olympics in which Australian won double gold in the 470M & W. Carrying the Olympic flag and being able to get into the 470 program at this stage from their success really helped me ‘trust in myself’ and give it a go. un: What is more important for you, being out on the sea, being free, winning? mb: It is a hard question to answer, we are in the business of sport and results are really central to everything we do. But for me, to have the opportunity to control my destiny through my own actions and decisions is really important. This is not only from a racing perspective (whilst racing) but being able to structure and put together the Olympic program is really enjoyable. 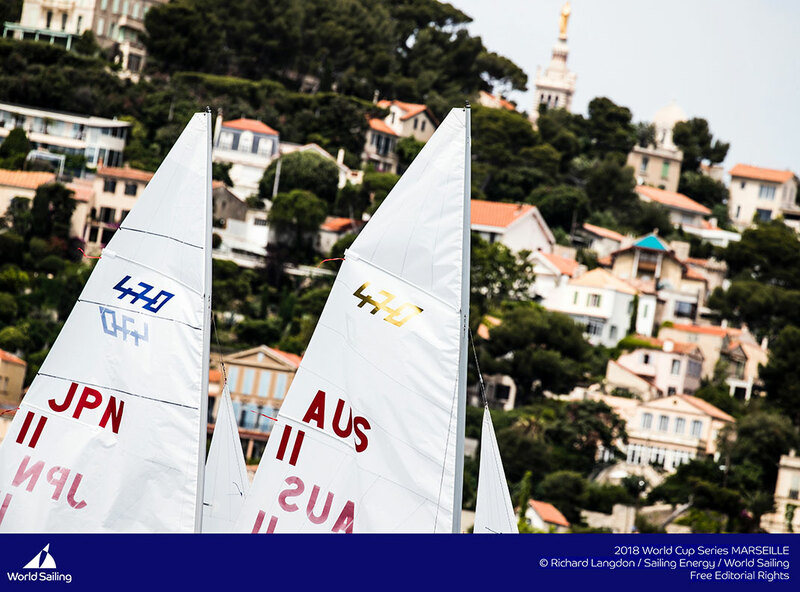 Every Olympic sailor enjoys being on the water and the challenges sailing present. Its an amazing sport. un: How important is the sailing community, your friends for you, if we watch you here in kiel you know nearly everybody, they are especially warmly with you? mb: The sailing community is really important to me. We spend so much time together, sure so many similar experiences together and are trying to achieve many of the same things. Its quite unique. I like to spend time with our fellow racers and support them as they support me. I’m not sure who said but I remember our coach saying "you have not won unless you have won the respect of your competitors”. This is important to me. un: You married a german girl, the daughter of the well known boatbuilder Basti Ziegelmayer. Fredericke also was in London 2012 with Kathrin Kadelbach. Sounds like a family trip? mb: Its pretty funny when Rike and I look back at this. When I temporarily sailed a Mackay 470 boat for a few years, the family christmas trips were a bit awkward. haha. It was only from my side. Sebastian, Max, Ferdi and the whole family have been so supportive of Rike and I. Rike’s family have been so instrumental in our success we wouldn’t be doing what we are without there support. I’m really lucky, as I have known Sebastian for a long as Rike. Almost 17 years. un: Did you always race the boats of your father in law? In your home area you have the famous mackays? Or is it family-mandatory? (un: Mat won 2 x worlds) whilst Sebastian was relocating the factory back to Hamburg. Basti learned his boatbuilding know-how in bavaria on lake starnberg and took it to hamburg. un: You made ziegelmayer more famous all over the world, how long is the delivery for a 470 without being an olympian? mb: I really feel for Sebastian at the moment. He has so much enquiry all over the world its impossible to keep everyone happy and build the volumes to meet demand. I don’t know of anyone who works as hard as him. He is a great man. To get a boat prior to Tokyo2020 without competing and being towards the top will be hard for anyone. But there are many great boats available from teams and the quality of his boats last a long time. We have raced a 4 year old boat and won many events. un: How important was the support of your family, when you began sailing? Or was it just the club wich made sailing possible for you. mb: Family support is everything. My parents gave me a great environment, opportunity to learn and continue where I am today. Getting coaches, equipment and to and from trainings. Having two kids of my own - I know its not easy!!! I was really fortunate that also my school had a sailing program and our local yacht club had great racing. un: When you watch your colleagues, what is the advantage/disadvantage doing the intensive sailing sport for life, for job … during sailing, after it? mb: I guess doing anything so intensively for so long is hard to provide balance. You are so focused on a single goal that everything else at the time doesn’t seem to matter much. You only look back and realise later. 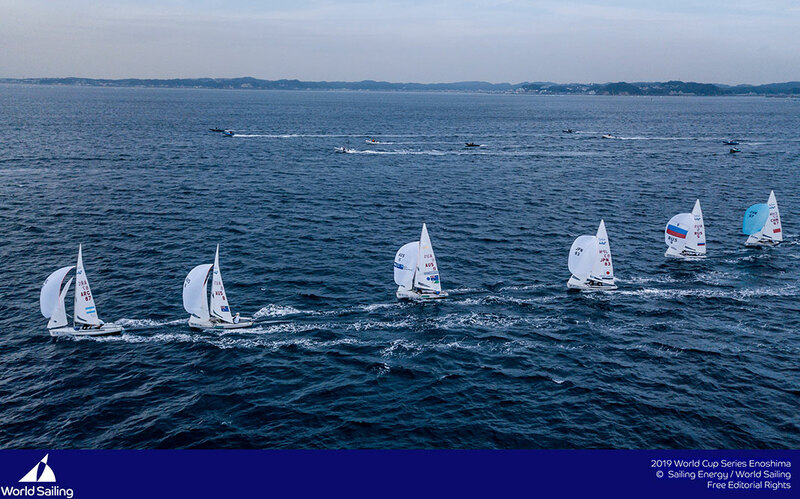 However, as life changes or your circumstances change, you get better a balancing the important parts of your life into the intensive aspects of sailing. You might not be able to train as much, but you certainly can do it smarter to compensate. I have a few business, one running a sailing school on the Gold Coast and another in property development building residential projects. I am about to graduate with a double masters degree in Project Management and Property development and valuation. Not to mention a wife and two kids. If you really want balance you can find a way. You just have to believe. un: Your kids live on the gold-coast in australia, you wish them a sailing career, or is it better to play football or tennis out of your view. mb: Golf or tennis - so we can retire early! Sailing doesn’t make much money, especially Olympic. But seriously who knows. Sailing has been a big part of Rike and I’s lives and our families. Anton loves sailing and I take him out on the water quite a bit. So I’m sure he will give it ago. Where he takes this is up to him. un: What different sailing-skills you need for the 470 compared to 49er, besides weight, size, physic skills? mb: The thing I love about 470’s is that there are so many aspects to the boat that make it interesting. The boat is very technical and you need to have a solid understanding on how the rig and boat works. Not to mention if you are out in pre-bend or rake by mm then you can notice the different. This really makes the boat interesting. It is hard to have this in a laser, right? So you learn a lot of technical tuning that helps in other classes. 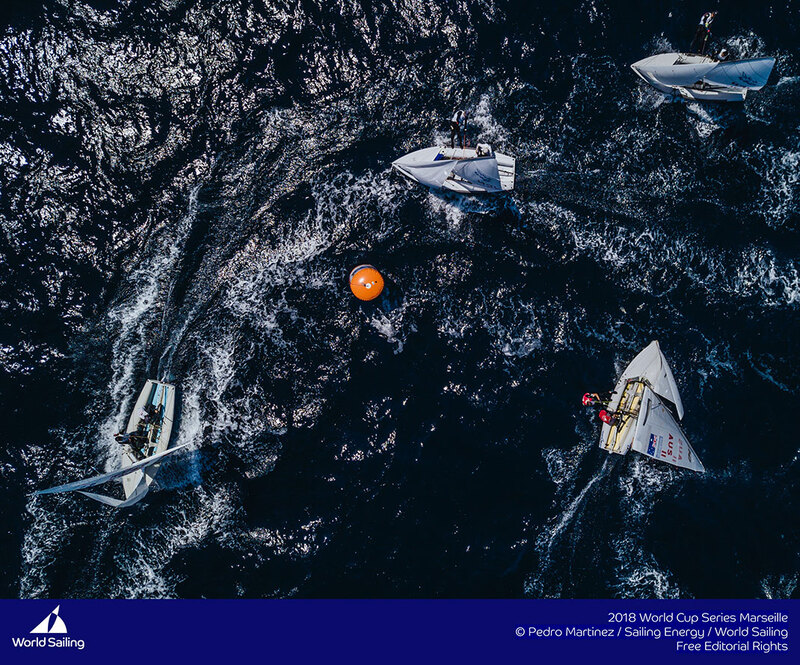 The racing is very physical - with unlimited pumping above 8kts so you see high level of athleticism especially from the crews that match the top athletes is other sports. Whilst the racing is slow enough to make it a great tactical and strategical game with a high level of competition. 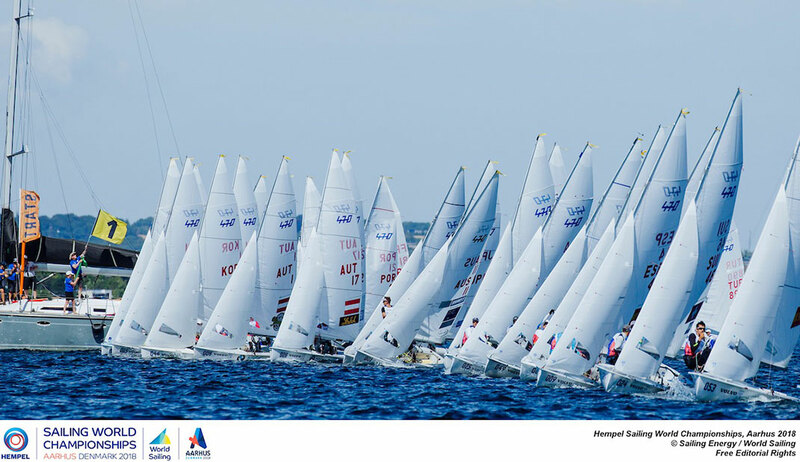 A lot of the faster classes, don’t provide the same level of sailing enjoyment. That is why you see many AC sailors come back to lasers or finns to ‘race again’. un: You think it is necessary to sail a 29er to prepare for 49er? There are examples, like Peter Burling (World Champion as Crew 2006, 2007) Eric Heil .. who sailed 420 and won 49er medals. mb: Its an interesting question, from my view having the experience in the 420 was a great platform to move into 470’s. The skills within 29er are very different to what you learn in 420’s but you go faster at this age. Many kids just want to go fast but learning the technical skills about how to make a boat go fast really help later on. Its no surprise that you see sailors like Peter Burling and Nathan Outteridge sailing 420’s then 470’s then onto 49er. The skills they learn through 420 and 470 have given them such a strong platform. un: Good winds for the medal Race tomorrow!